Product prices and availability are accurate as of 2019-04-22 11:40:40 +08 and are subject to change. Any price and availability information displayed on http://www.amazon.com/ at the time of purchase will apply to the purchase of this product. 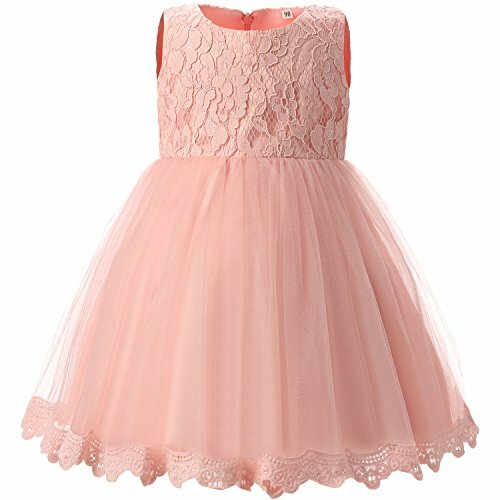 100% Cotton Polyester Blending material, fashion designs for girls. Comes without crown. Please refer to our size information that the left picture for Detail Size Chart before ordering. Size Table means age ranges for girl, but they are for general guidance only. Bodice with printed pattern for the vision show. Good cotton lining to protect the baby's soft skin. Sparkly feminine knee-length gown has a beautiful empire waist. The special hidden zipper merge with the dress. Zipper use quality environmentally materials for good appearance. Sleeveless and sweet elegant hemline for double lining, soft, comfortable, cool breathable. 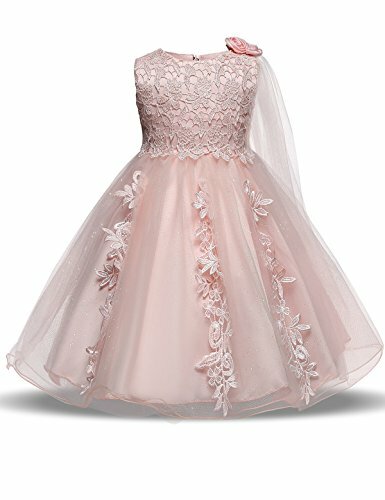 Perfect for party, wedding, birthday or other special occasions like holiday party, ceremony, baptism, birthday party, pageant etc. Flower layered fluffy tulle design. Removable big bowknot on the back . It make the waist more slim and go with the noble temperament. TTYAOVO believes that every girl is a princess. When dress our attractive styles, your girls will be a focus around her friends circle.